Add calendar into Missive. For meetings, tasks, invites, etc. I'll be happy with simply seeing my calendar... No fluff. Changing apps to see my schedule and having to open gsuite is a pain. This is probably the single most important feature missing in Missive today. A collaborative solution where users can see, share and have calendar-based context with emails are key features for any "enterprise" collaboration suite. 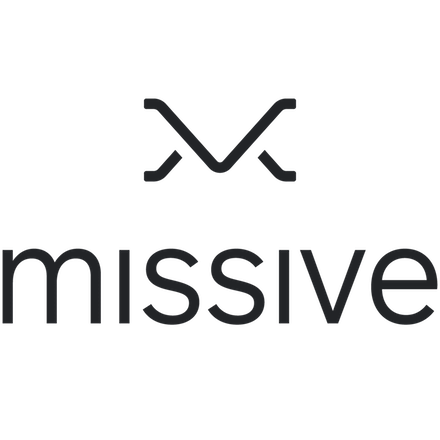 Missive's big differentiator to Front App or similar is that is supposed to be a replacement of your email client .... They ALL have calendars (Thunderbird, Outlook, Nine, K-9, Mail, etc ...). How are you all managing calendar invites w/ Missive today? How do you share them w/your team? @George Burnett: I'm still relying on my Newton app to manage meetings and contacts. Missive is secondary sat ready for when I loose Newton. but for me missive needs to step up with these features very soon or I'll be reluctantly heading our to the outlook app. @Wayne Kelly: Can I ask why you're using Missive? Newton Mail looks pretty feature rich. @George Burnett: Newton is/was probably the best business email available for Android. Unfortunately they shut down in September and are not renewing subscriptions. Missive imo is going to be the best to move to for many Newton users looking for a new email client. For Exchange accounts, this would be the missing piece of the puzzle! @Gabriel Brunner: Definitely the only missing piece! Would say this is an essential function for a business email app. Can I -1 this? Canny is great because it does a thing well. Fantastical is also great for calendar. Yes, please. A calendar and task apps (Evernote, etc) integration. +1. Sync with Google Calendar would be very helpful. This would be great. If it had access to my google calendar. +1 This really is a no-brainer as e-mail-centric teams often rely on Calendar integration to schedule and organize team events, meetings and tasks. Wold love the ability to not only assign an email to a team member but also assign a due date to the email itself! See Newton Mail? But honestly not as big a priority for me. I think that just autodetecting dates and times in an email and turning them into an underlined link that if you click on it will offer to create a Calendar event and invite, like in Gmail, would be ideal/sufficient. @Bubu ROG: That would be a real gem, as literally no other e-mail client I know supports CalDAV and CardDAV.